What is a home worth? This is a basic question that a lender will ask when considering a loan for a potential mortgage borrower and it plays a fundamental role in the mortgage process. Determining the value of a home to be financed limits a lender's risk associated with a loan because that property that will provide the means of recovery for the lender should the borrower default on the loan. For example, XYZ Mortgage Co. loans Joe Borrower $120,000 against a property that is worth $150,000. If Joe Borrower does not pay his mortgage, the lender will have to sell the property at foreclosure (which is a costly and time-consuming process). If the home sells for $100,000 (or any value less than the remaining balance on the loan plus the foreclosure expenses), the XYZ Mortgage Co. will have a loss on the transaction. However, having a solid, objective opinion about the value of the home will help the lender in assessing any potential risk associated with the loan and prevent a loss due to foreclosure. A residential real estate appraisal is generally required for all mortgage transactions to assist in limiting such risks. It is a supportable estimate of property value, drawing its conclusions from data obtained from the market and the subject property. In addition, the mortgage company hires the appraiser (the licensed individual that conducts the appraisal), rather than the buyer or the seller, in order to provide a clear and objective statement of a property's value. 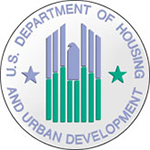 The Department of Housing and Urban Development (HUD) requires appraisals for all FHA insured loans. Though the qualifications of an appraiser will vary, HUD requires a minimum standard to be met by all FHA approved appraisers to include additional education and training, state licensing or certification, and approval by the lender to conduct FHA appraisals. FHA emphasizes that an appraisal is not a home inspection and it does not guarantee that a home is without flaws. This is called the "HUD No-Warranty" policy. However, FHA does takes steps to try to see that the home is in a safe, sound and sanitary condition. For that reason, the FHA appraiser is expected to require repair or replacement of anything that may affect the safe, sound and sanitary habitation of the house. If repairs are required, the buyer will receive a list from the lender (see VC sheets) and the seller (in most cases) is ultimately responsible for seeing that the repairs are taken care of according to set local and FHA guidelines. The value that an FHA appraiser places upon a property is more than just the value of bricks and mortar. If you are using inexperienced FHA appraisers or appraisers that have not been updated to the recent changes to FHA in the past year, you may be exposing yourself to potential liability down the road. We have over twenty years of combined experience as FHA appraisers and have the latest training. If you're worried that your current appraisal vendor is not up to speed on this rapidly changing subject, call RHL Appraisals!